The Journal of Drugs in Dermatology defines Sulfur as a yellow, non-metallic element with medicinal properties. Sulfur naturally occurs in volcanoes, surfacing upwards daily from underground steam vent. The use of sulfur to treat acne dates back since the time of Hippocrates. Since Sulfur is a natural anti-fungal, antiseptic, and anti-bacterial, in dermatology, sulfur has been used in the treatment of Acne, Acne Vulgaris, Rosacea, Tinea Versicolor, Fungus, Clogged Pores, Seborrheic Dermatitis, Body Acne, Dandruff, Pityriasis Versicolor, Scabies, and more. The Pharmaceutical Medical Grade FDA Approved OTC Medicated Sulfur Soap 10% with Salicylic Acid. Our Sulfur Soap has micronized Sulfur that has been refined to allow the sulfur to penetrate deep into the pore killing all bacteria and fungus on contact thus releasing the trapped sebum, dirt, make up traces and oils, while at the same time it works to reduce the redness and inflammation caused by the skin infection yielding a healthy clean complexion in days. This FDA and Dermatologists approved acne-treatment regimen consists of four unique products which work together to effectively cleanse, remove, treat, and target acne, resulting in a clear, healthy complexion. 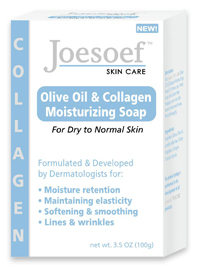 This FDA approved sulfur soap anti-bacterial, antiseptic, and anti-fungal formula removes harmful dirt and oil buildup to give your skin a healthy complexion and prevent future breakouts. For Acne, Rosacea, Tinea Versicolor, Seborrheic Dermatitis, Nail Fungus, Scabies, Clogged pores, Body Acne and more. Sulfur spot treatment. This formula vanishes as it quickly and effectively kills acne causing bacteria, pimples, whiteheads, blackheads, breakouts and blemishes. Goes on clear. Apply with cotton Q-tip to affected area only. Sulfur works to unclogs pores, kills bacteria, fungus, prevents breakout, clears blemishes, pimples, blackheads, zits and acne. Sulfur drying mask. Apply with Q-Tip. Leave on overnight. For Acne, clogged pores, blackheads, Rosacea, Zits, Pimples, Vulgaris and blemishes. Penetrates deep into the Pores removes trapped dirt, oil, make up traces. Reduces the redness associated with Acne and Rosacea. Olive Oil is a natural moisturizer which softens and refines the skin. Collagen is essential to maintaining skin elasticity and helps to delay the natural aging process. Lanolin helps to reduce evaporating and retain moisture while smoothing and softening the skin.